42.33 How do I disable Eclipse Software Sites? 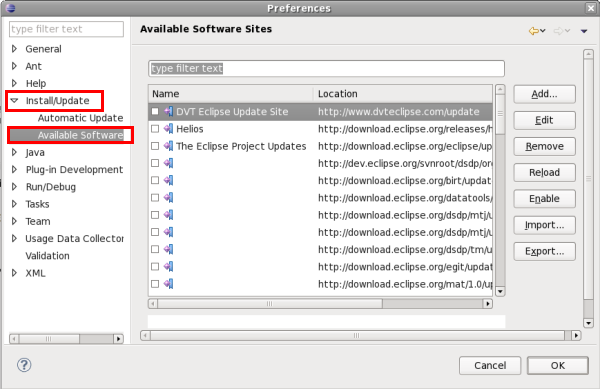 > How do I disable Eclipse Software Sites? Eclipse contacts all Update Sites even if the option is un-checked ( Help > Install New Software... > Contact all update sites during install to find required software). To disable update sites querying, go to Window > Preferences > Install/Update > Available Software Sites and unselect all the references to software sites in that list.